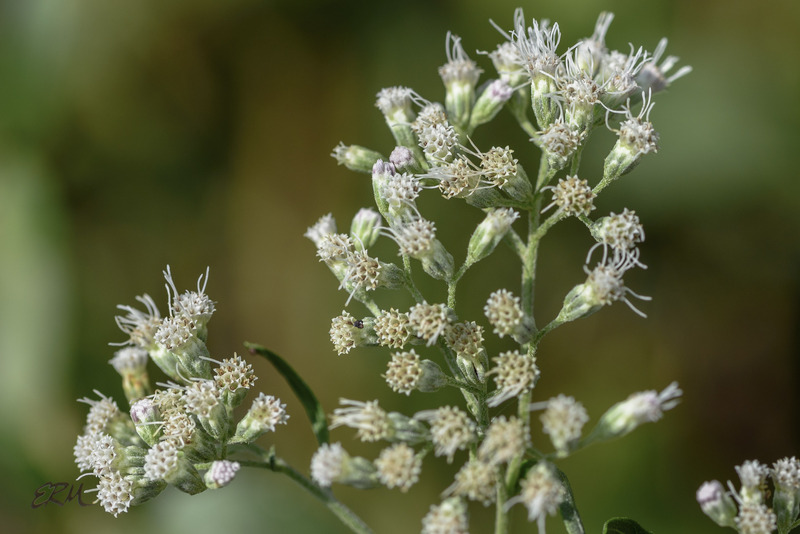 The Eupatorium-type flowers aren’t quite done yet. 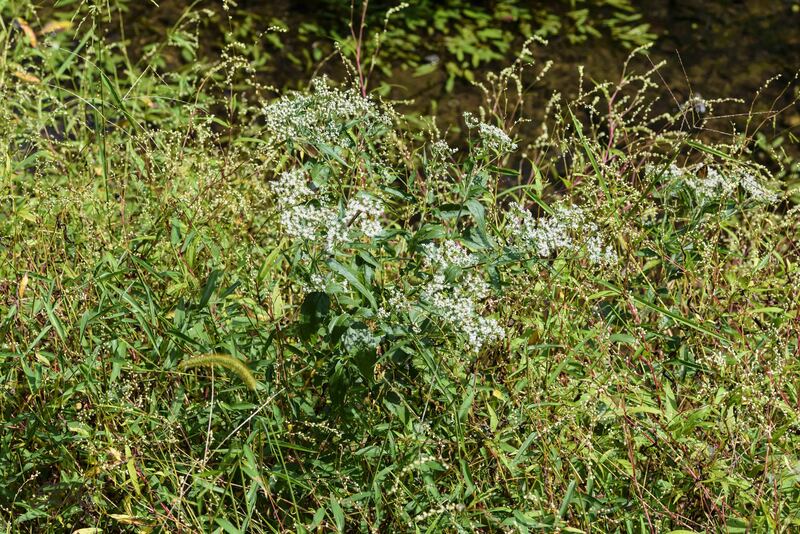 A. aromatica’s big brother, Ageratina altissima, dominates the scene – you can find them by the dozens along the Billy Goat trails – but tucked in little nooks on sandy soils you might find this small species, too. As you can see, this is another one of the rayless composites, consisting only of disk flowers. 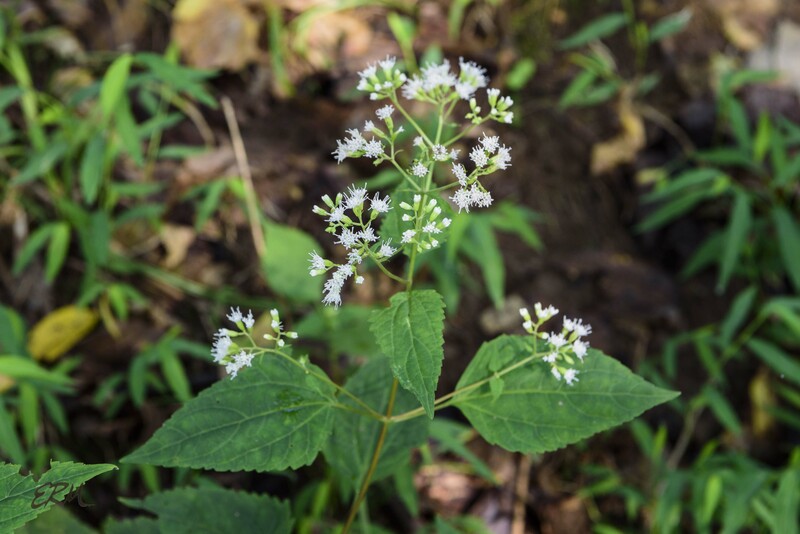 It’s found throughout the eastern US as far north as New York; some sources state that it ranges further into New England, but is rare or endangered there. 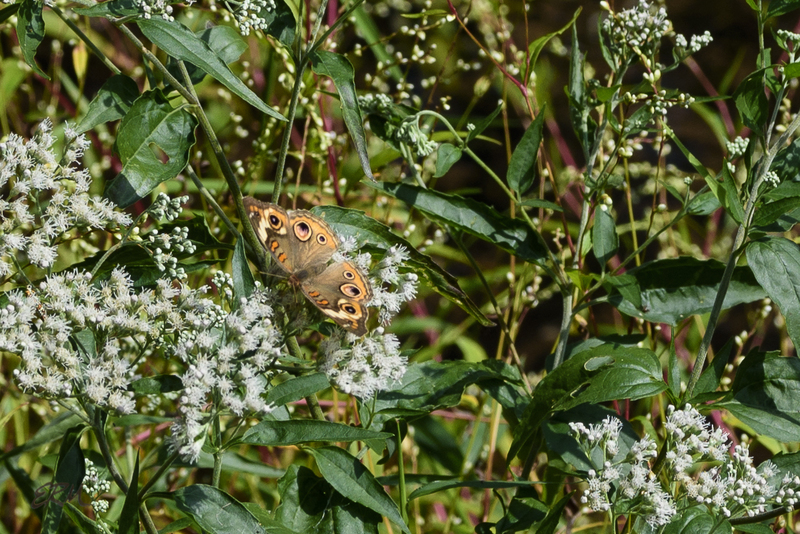 Yes, another of the Eupatorium-type plants. 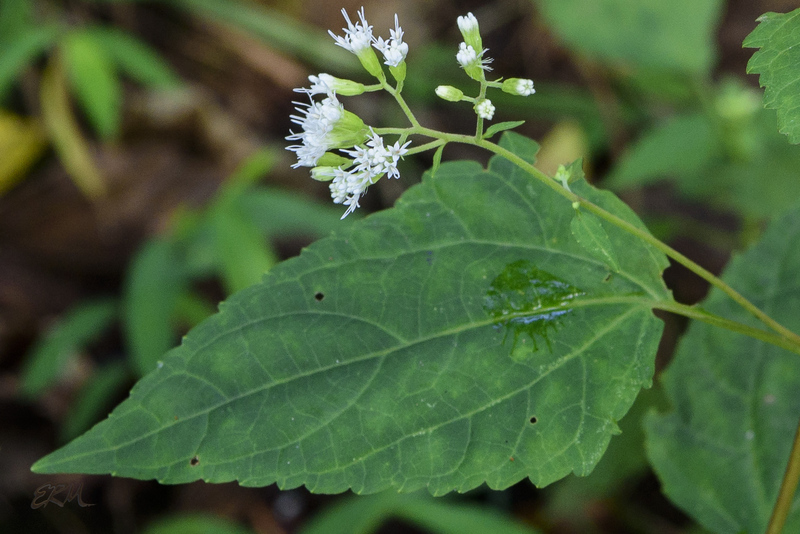 In fact, this species was formerly named Eupatorium rugosum. 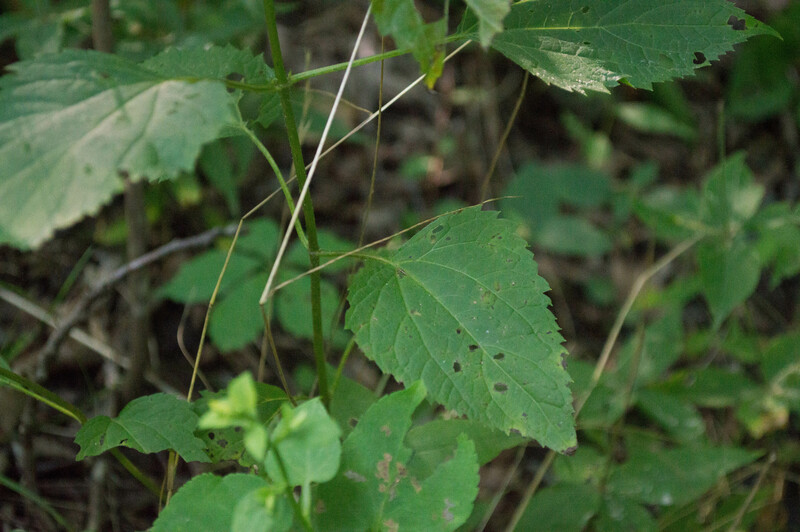 It can be distinguished from the bonesets by the leaves, which have long petioles (instead of being perfoliate or sessile), and are generally cordate (heart-shaped). 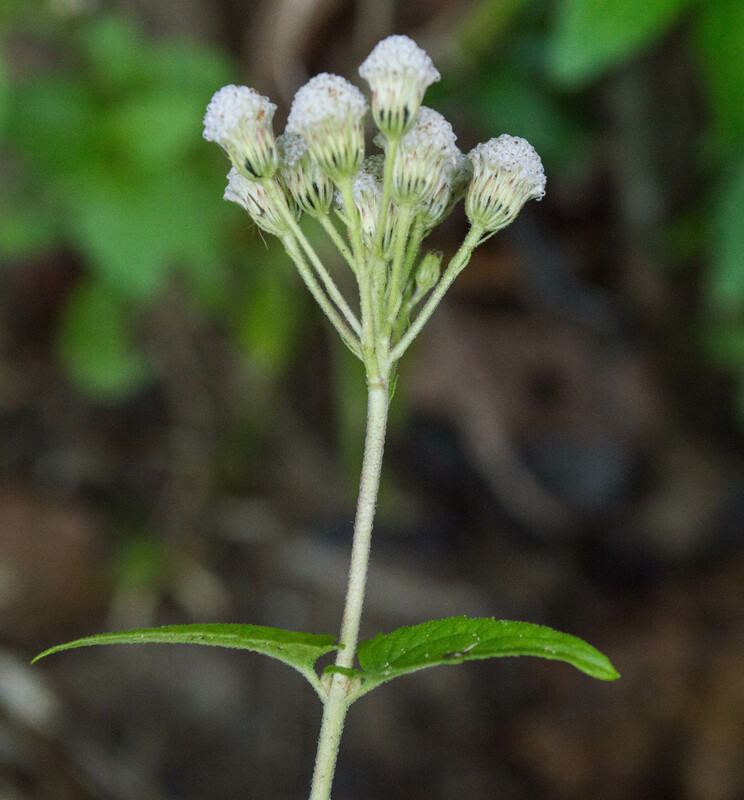 The inflorescences are a little different in shape, but the individual flowers look similar to boneset and joe-pye weed flowers, at first glance, anyway. 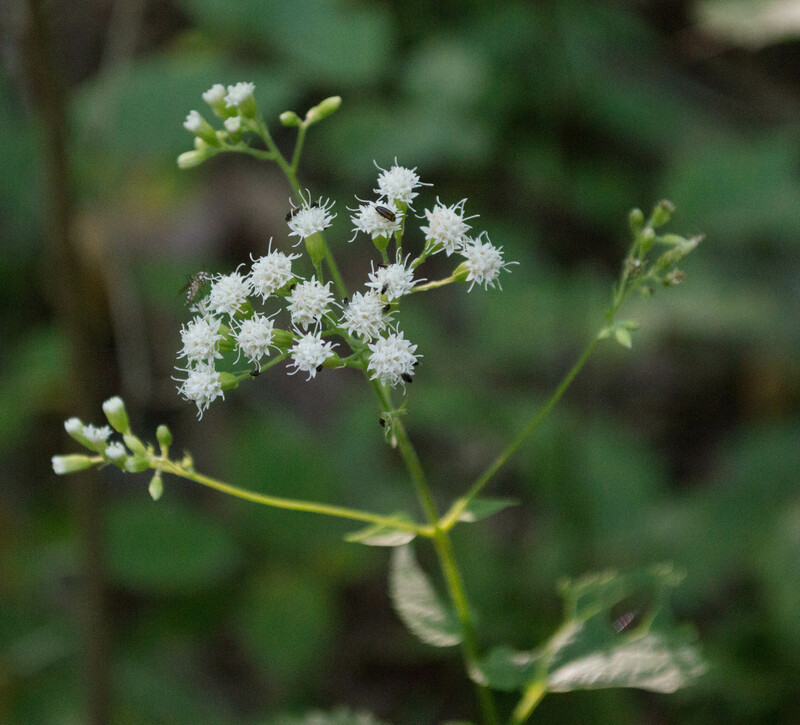 Other common names include tall boneset, white sanicle, and richweed. 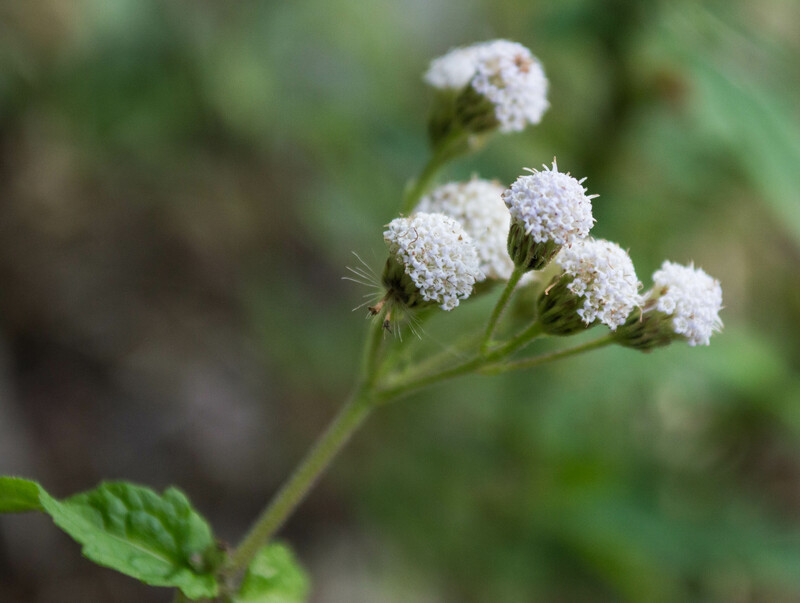 At one time people believed that the roots could treat snakebites, hence the name. 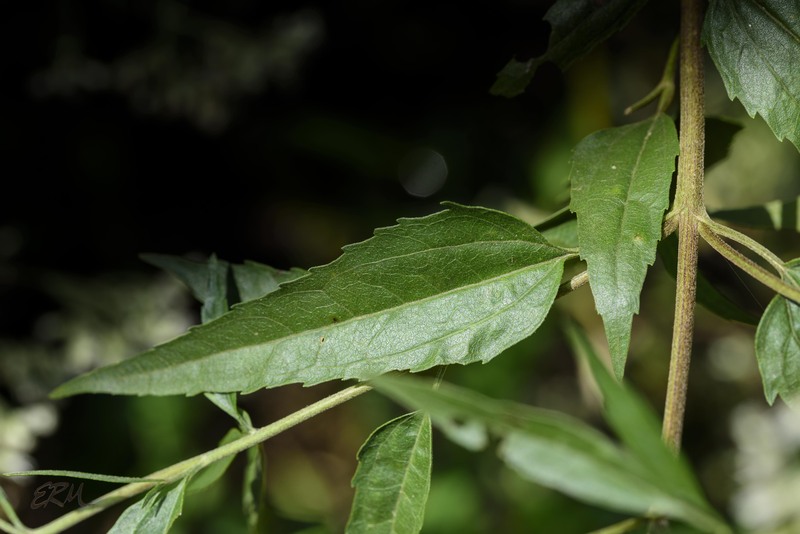 Actually, the plant is poisonous, and the source of “milk sickness” that killed many settlers in the early 1800s. 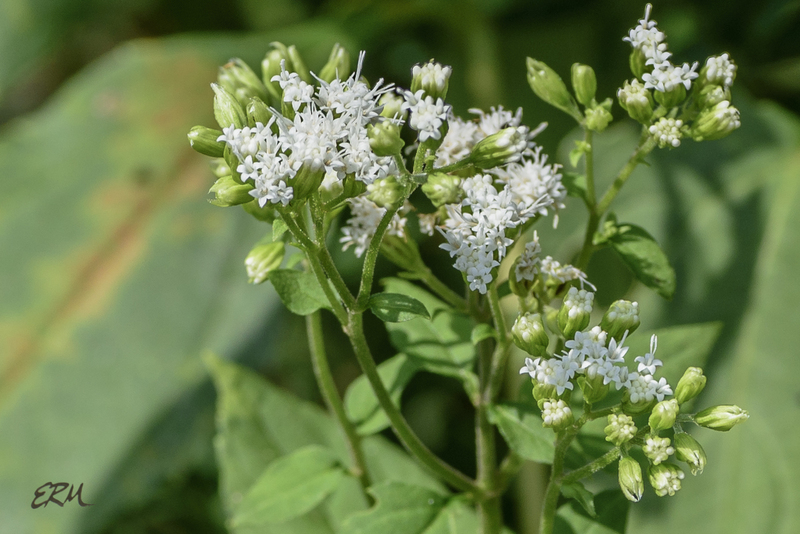 Apparently cows don’t normally graze on white snakeroot, but they can if forage is sparse; the poison is then passed through the milk to people. 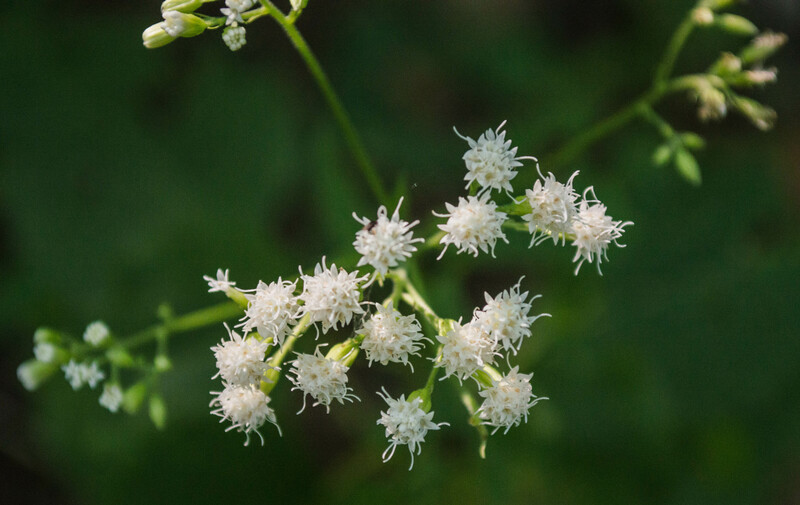 White snakeroot is found in a wide variety of moist-soil, partly-sunny habitats, from Quebec to Florida and west through the Great Plains.